...and they're off! A classy way to let your guests know you are having a Kentucky Derby inspired party. Soft colors and a preppy design would work beautifully for a boy's birthday party or baby shower! This listing is for invitations professional printed on 110lb., ultra fine, bright white card stock – this is a nice, heavy stock. You will not be disappointed! The invitations make an instant impression, sized at 8.5” x 5.5”, and bright white envelopes are included. NOTE: Invitations only require one forever stamp to mail. Please select your invitation quantity needed in the drop down box above the "Add to Cart" button. Contact me for pricing on orders over 100. Include your invitation wording and other personalization details in the "Notes to Seller" section during checkout. Do you like the design, but you're not crazy about the colors on the invitation? No problem! I am happy to accommodate color changes and minimal design change requests - just make note of it in the "Notes to Seller". A digital proof will be sent to you for approval within 2 days via Etsy messages. Once the proof is approved, they will promptly print and ship via Fed Ex Home delivery services. I never print and ship without proof approval, so please make sure to check your Etsy messages and/or email and review your proof(s) carefully. Please allow 5-7 business days for your order to arrive after proof approval. Orders are shipped via Fed Ex Ground with tracking, insurance and delivery confirmation. Your order will be updated with tracking information once it has shipped. Rush delivery is available for an extra cost. Please contact me before ordering if you need your items to arrive by a specific date. Please contact me if you would like to add coordinating items to your invitation, and I can combine your order in one reserved listing. All Sweet Wishes Stationery designs are protected under United States copyright laws. The unauthorized use and/or reproduction of protected designs is prohibited. We work hard to provide you with high quality, distinctive designs. Therefore, we take copyright infringement very seriously. Violators will be prosecuted to the fullest extent of the law. Perfect for my kids 2nd birthday party! This invitation is super cute and perfect for a Beach Baby shower theme. We ordered the invitations, stickers and thank you cards. The quality is first-rate and we are thrilled with the finished product. The turn-around time from order to preview to shipping was fast! 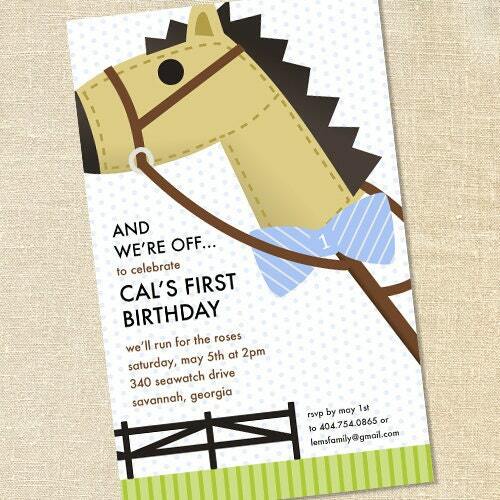 We worked with Kelly to change some of the colors as we needed a more gender-neutral invitation. With her suggestions our order looks exactly as we imagined. So happy we chose this seller. This invitation is super cute and perfect for a Beach Baby shower theme. We ordered the invitations, stickers and thank you cards. The quality is first-rate and we are thrilled with the finished product. The turn-around time from order, to preview to shipping was fast! We worked with Kelly to change some of the colors as we needed a more general-neutral invitation. With her suggestions, our order looks exactly as we pictured. So happy we chose this seller! Super cute and arrived promptly - thank you! Paypal is the preferred method of payment, but we also gladly accept personal checks and money orders. Please contact us to make arrangements if you wish pay by these methods. If there is an error with your order, please contact Sweet Wishes immediately, so we can make it right. If there is a mistake on our part we will gladly recreate and reship your item... free of charge! Please allow 5-7 business days for your order to arrive after proof approval. Orders are shipped via UPS Ground with tracking, insurance and delivery confirmation. Rush delivery is available for an extra cost. Please contact me before ordering if you need your items to arrive by a certain date. Every design from Sweet Wishes Stationery can be customized to meet your exact needs. Do you like the layout, but you're not crazy about the colors or the fonts on the invitation? No problem! We will create a custom design just your you!